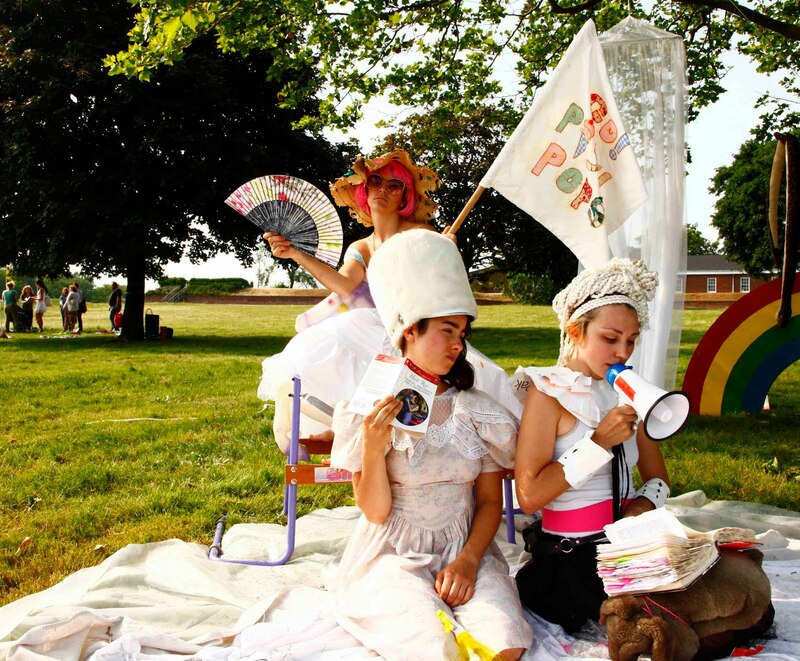 Imaginary Picnic was the Push Pop’s second official performative installation for the Figment Festival on Governor's Island. 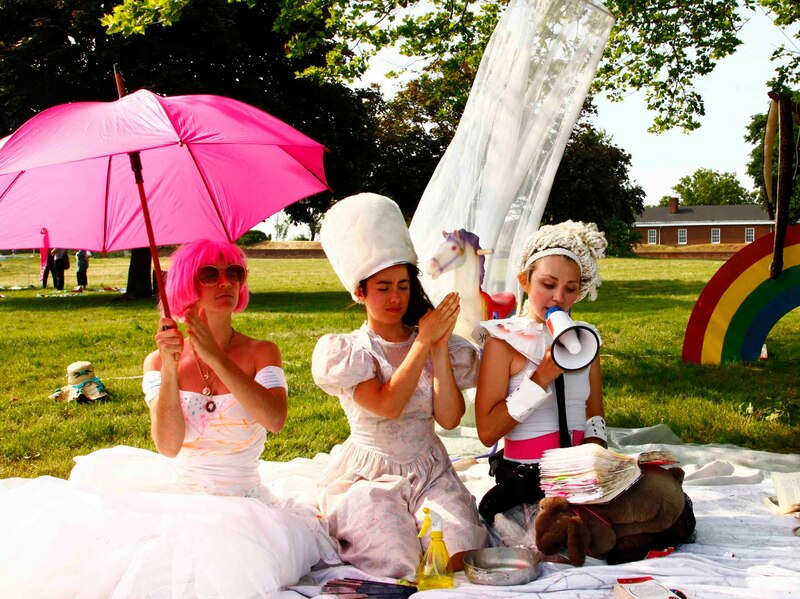 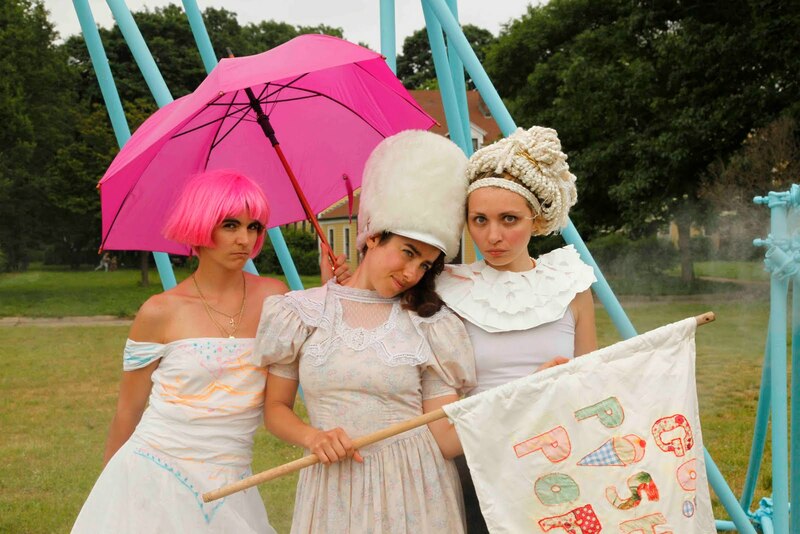 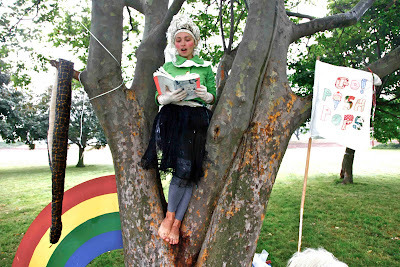 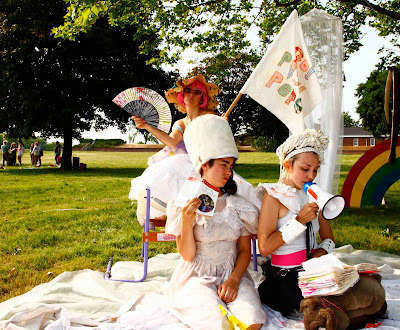 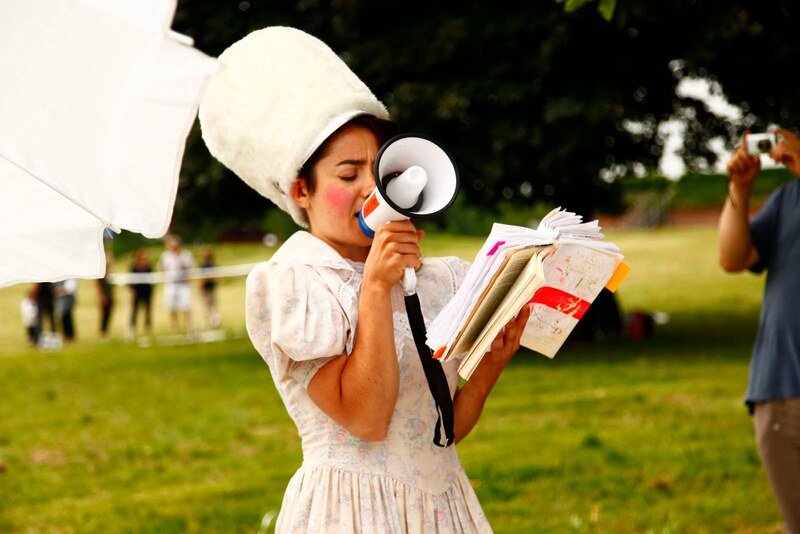 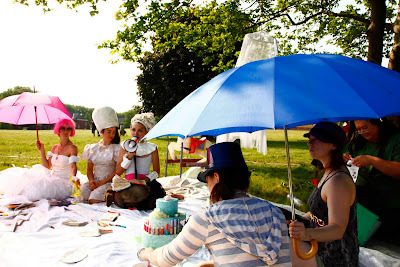 A Victorian themed outdoor tea party with liberal helpings of drama, magic and Dyonisian madness, Imaginary Picnic was a participatory emotional outward bound nestled under a big friendly tree. 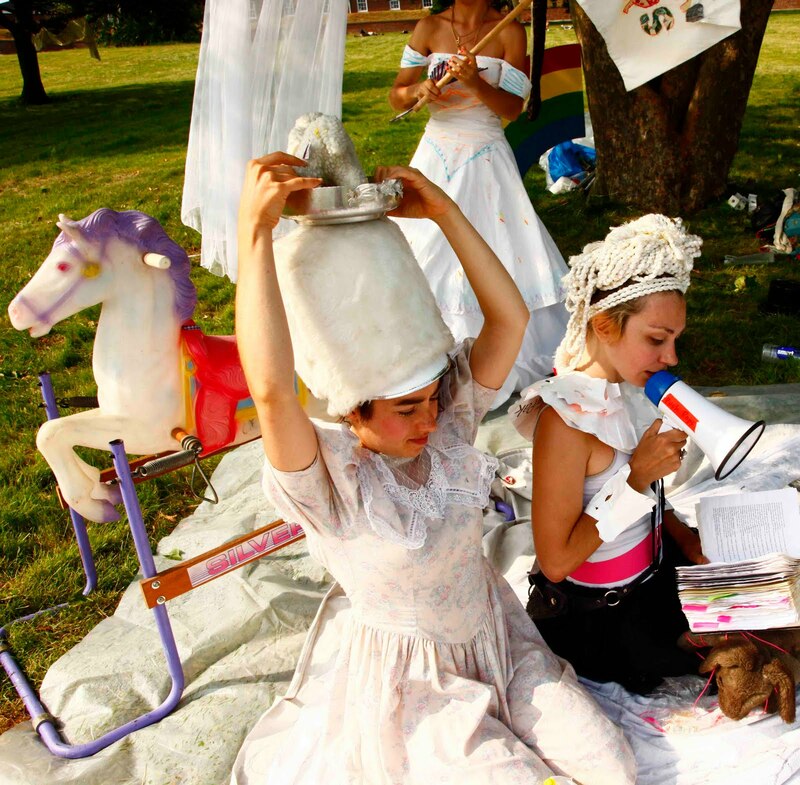 Surrounded by cardboard ice cream cones and odd shaped floating surrealist matter, Mistresses Minty, Pinky and Frosty read victoriously from artist manifestos of the early twentieth century to present including those of Dada, Surrealism, Neoism and Valerie Solanas’ S.C.U.M. among others. Knowledge is fuel and imagination is contagious suggests this cathartic spectacle in which The Pops guided visitors to reset their pleasure index and indulge in intellectual delicacies. A tree, a candy-coated rocking horse and three sassy tree-climbing orators helped wayward island goers plunge into our collective creative history and let their personality armor melt away.